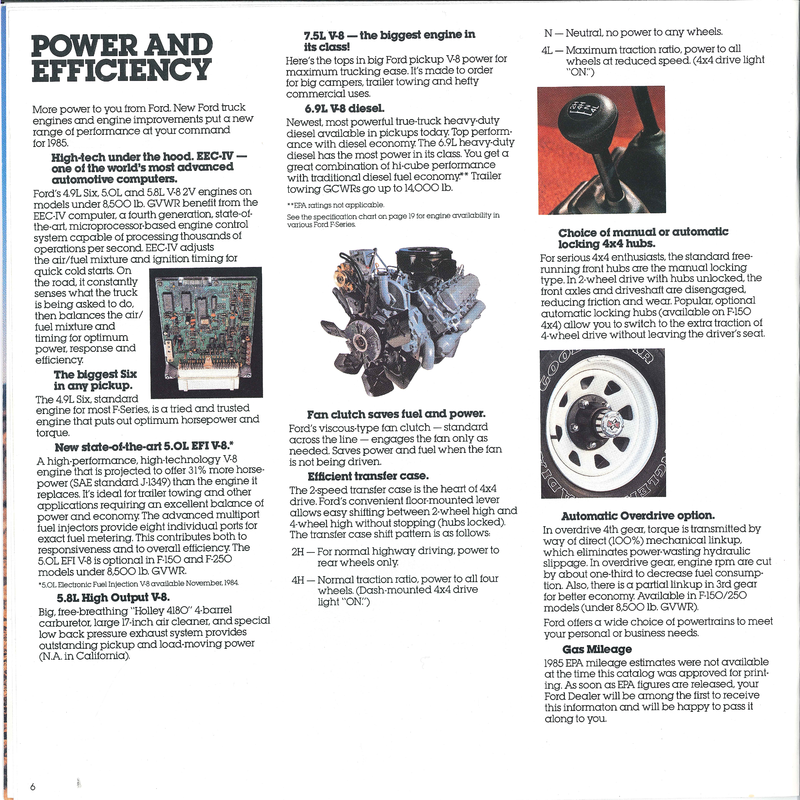 This is an early version of the 1985 brochure, and is dated 8/84 on the back cover. Note that the truck on the cover has the advertised "new full-length bodyside protection molding" just below the crease on the upper fender. 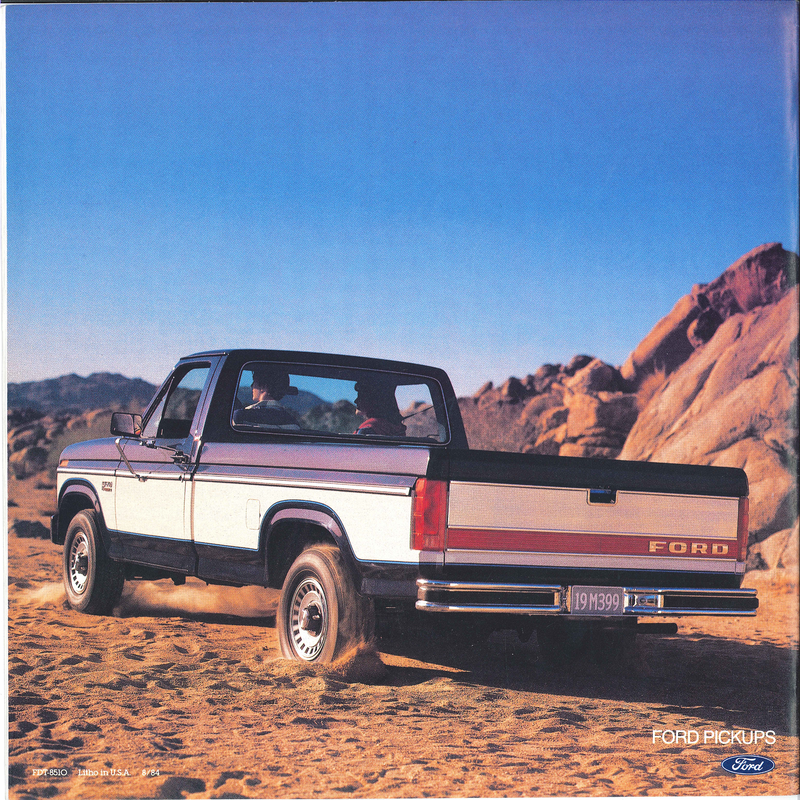 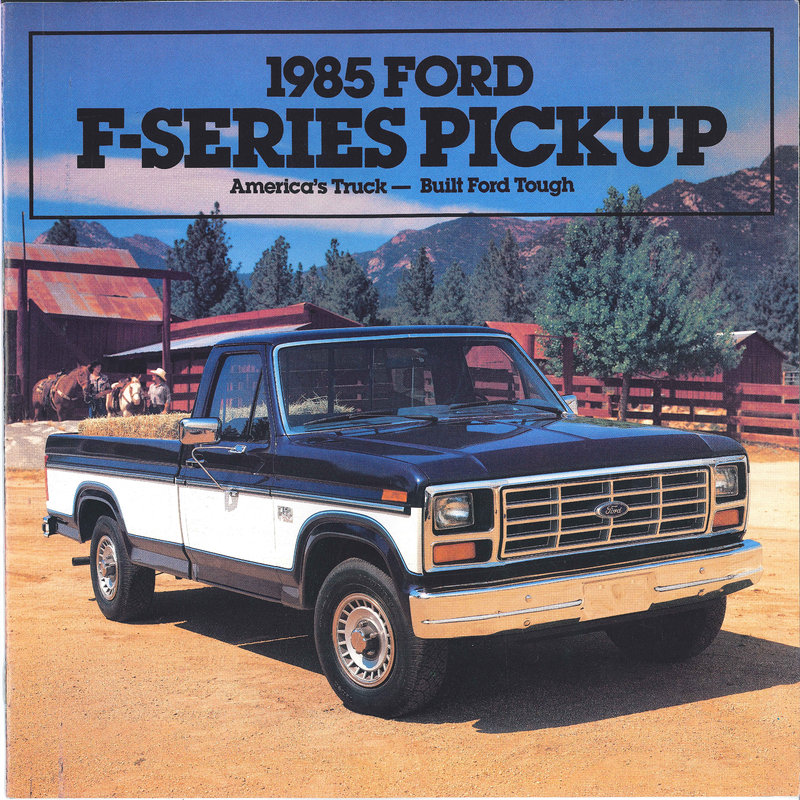 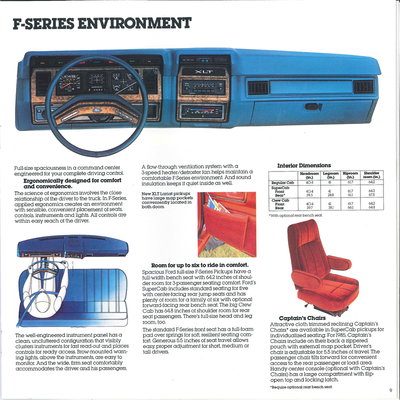 The later brochure doesn't show that molding, although the truck and everything else about the cover appears to be exactly the same. 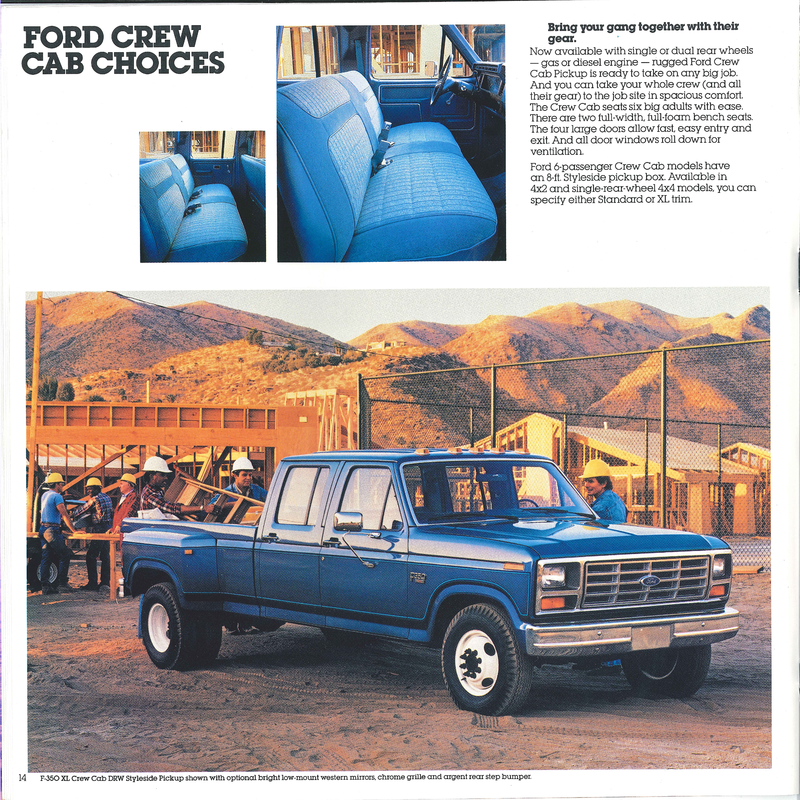 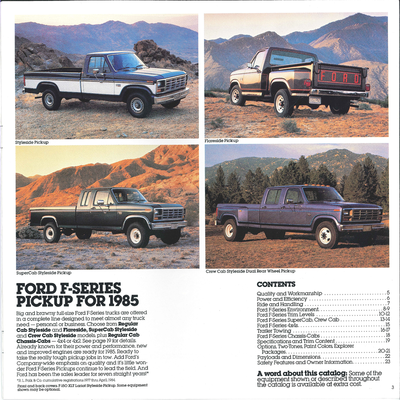 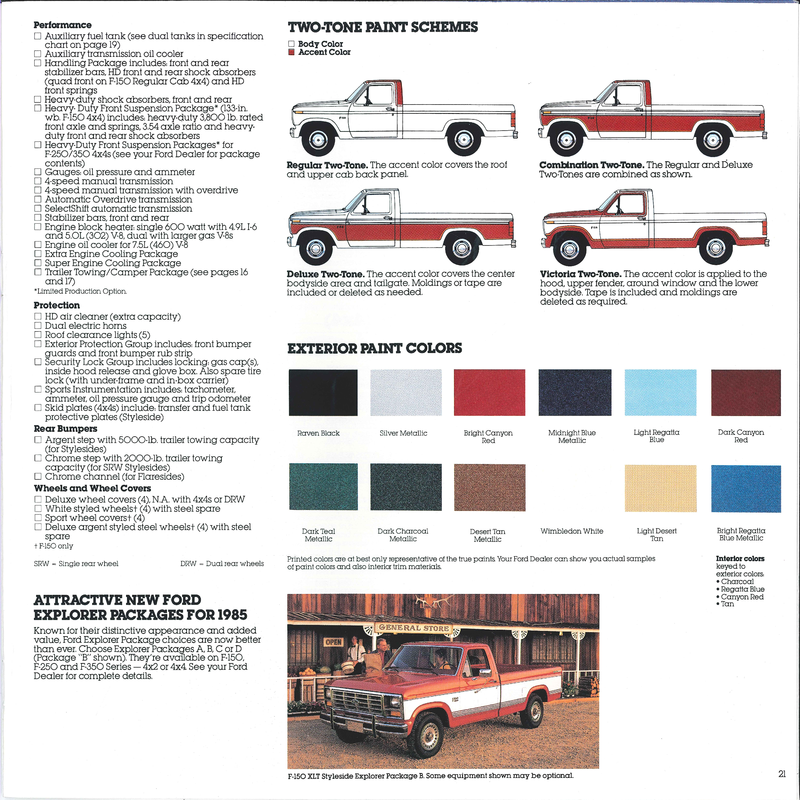 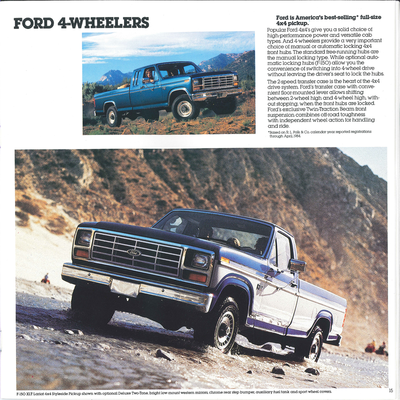 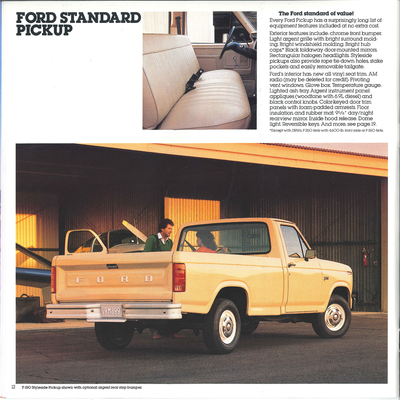 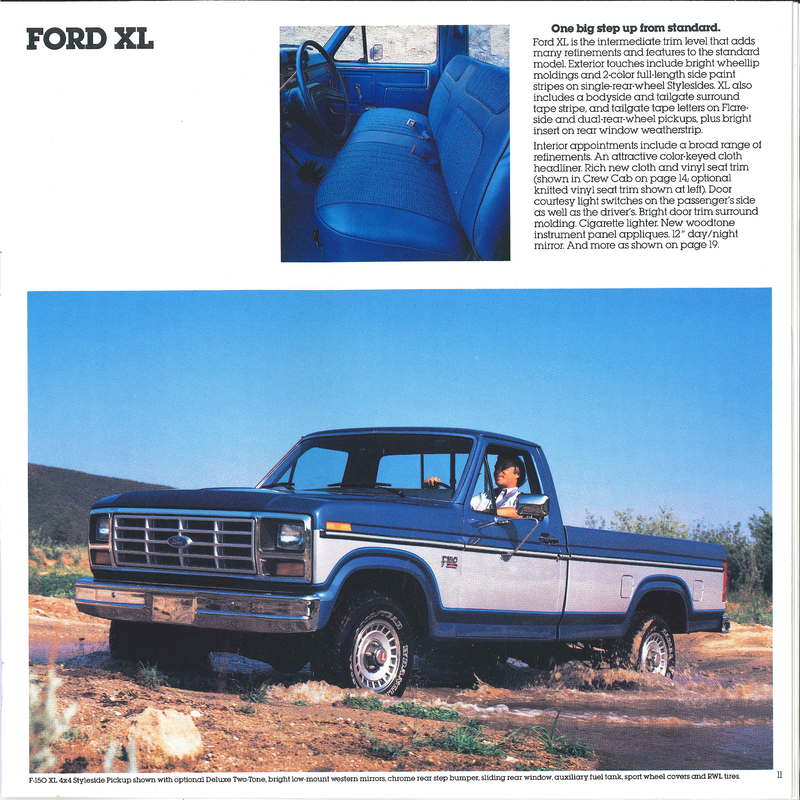 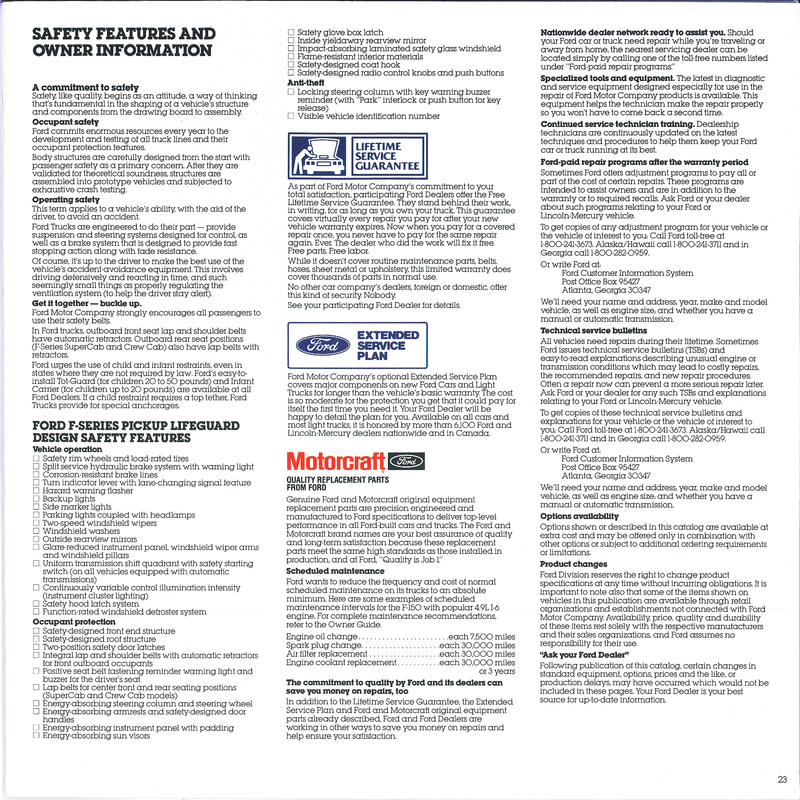 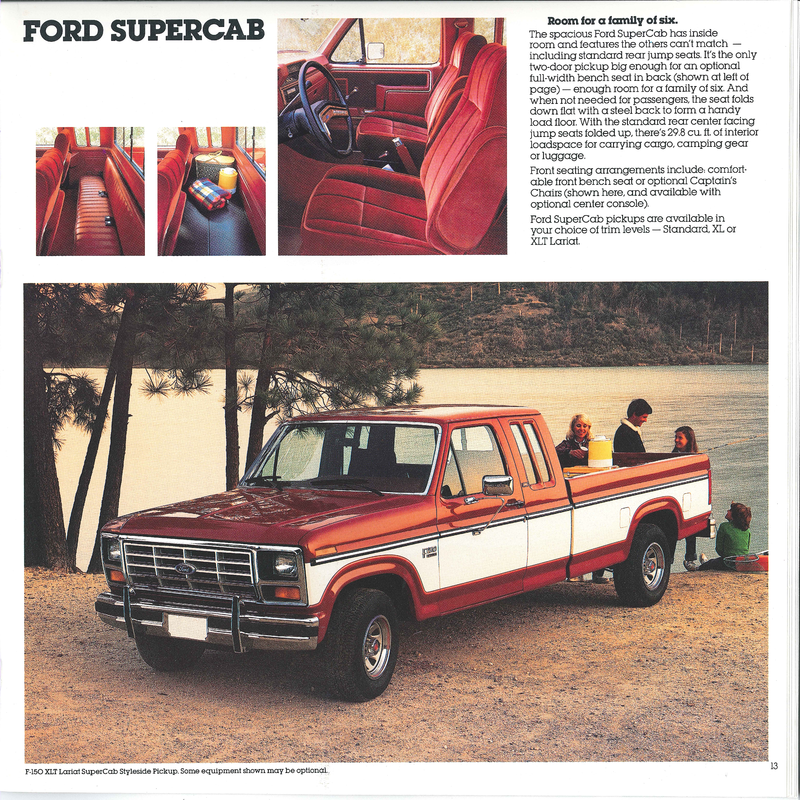 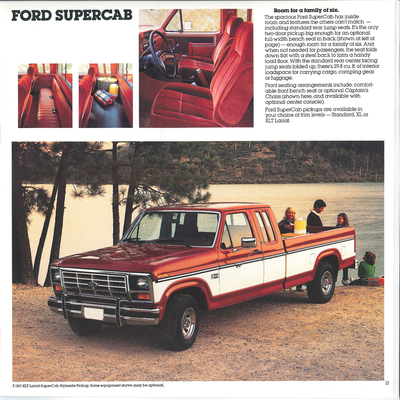 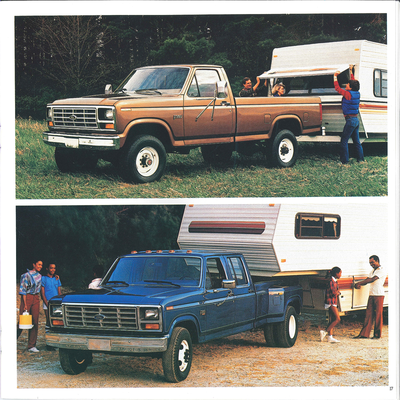 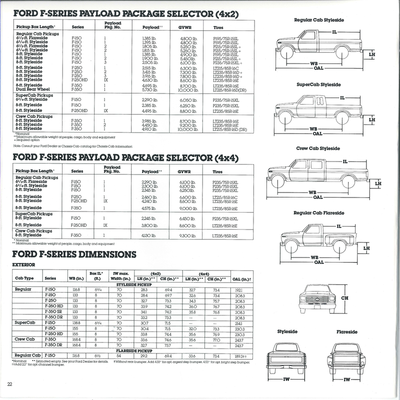 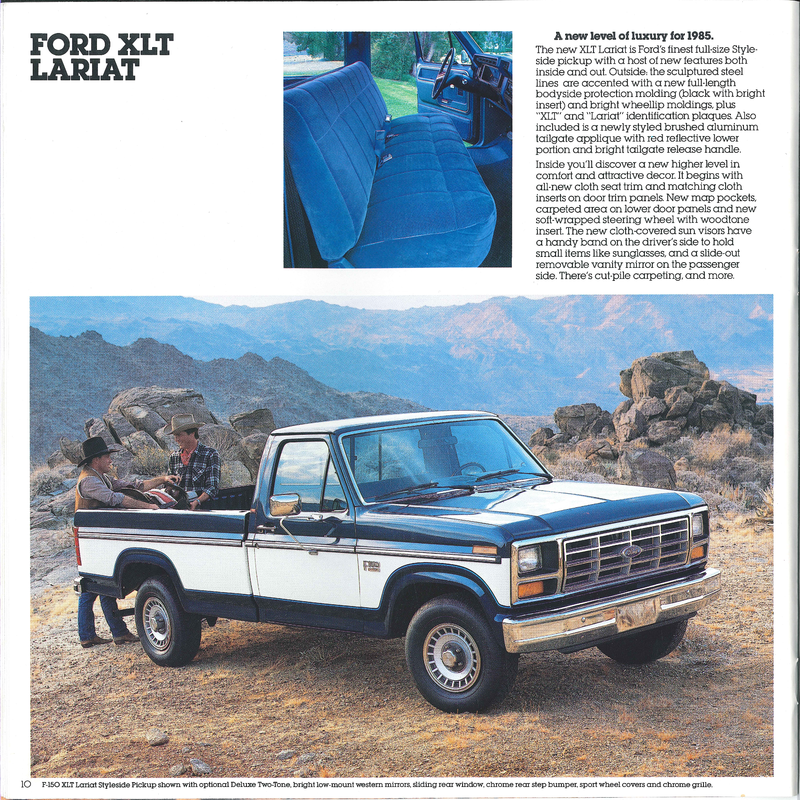 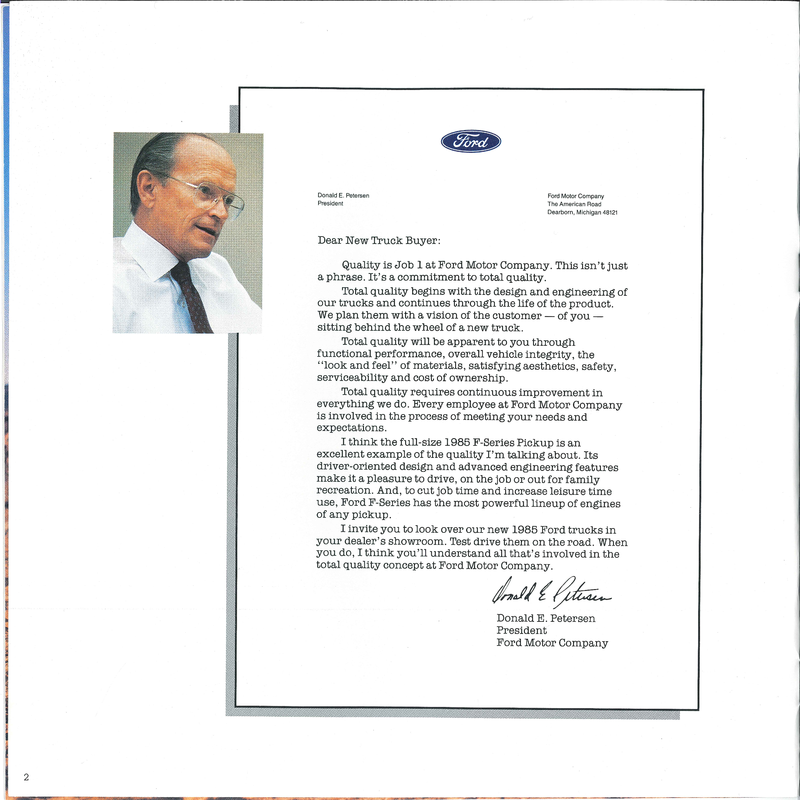 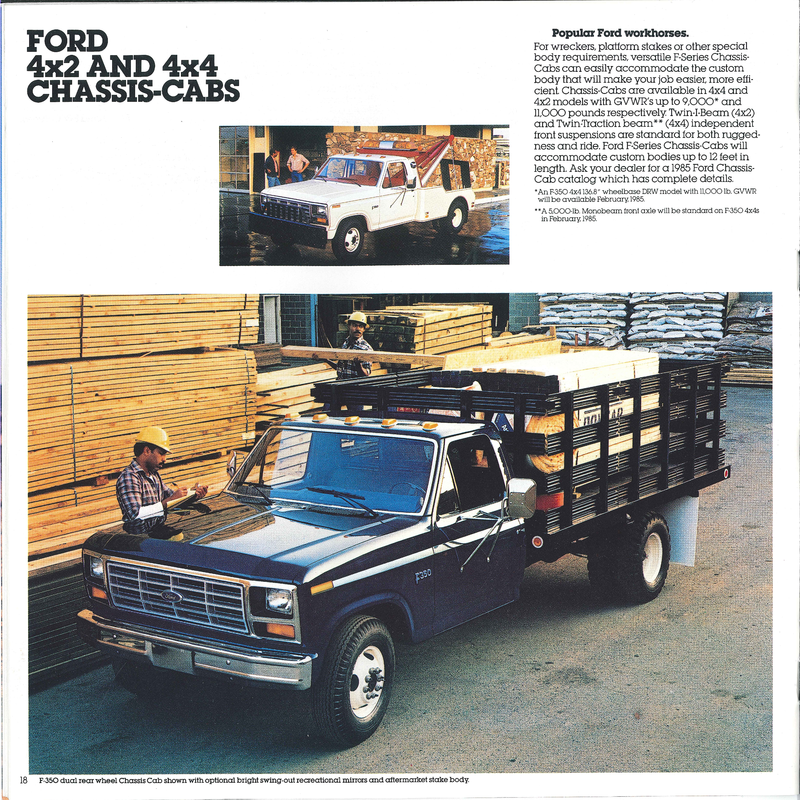 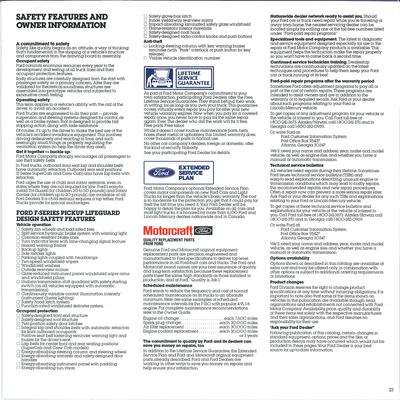 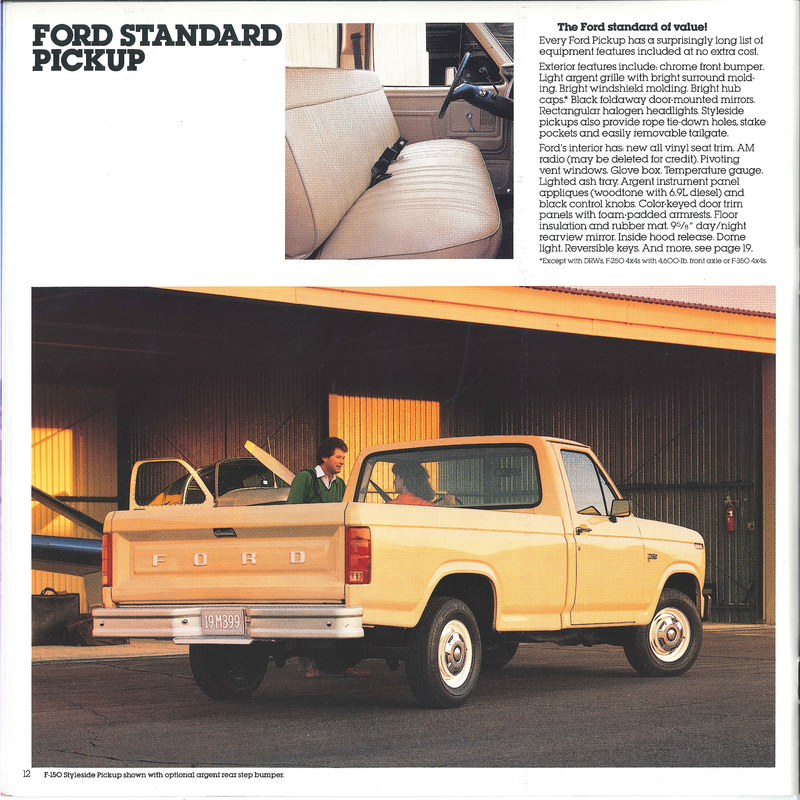 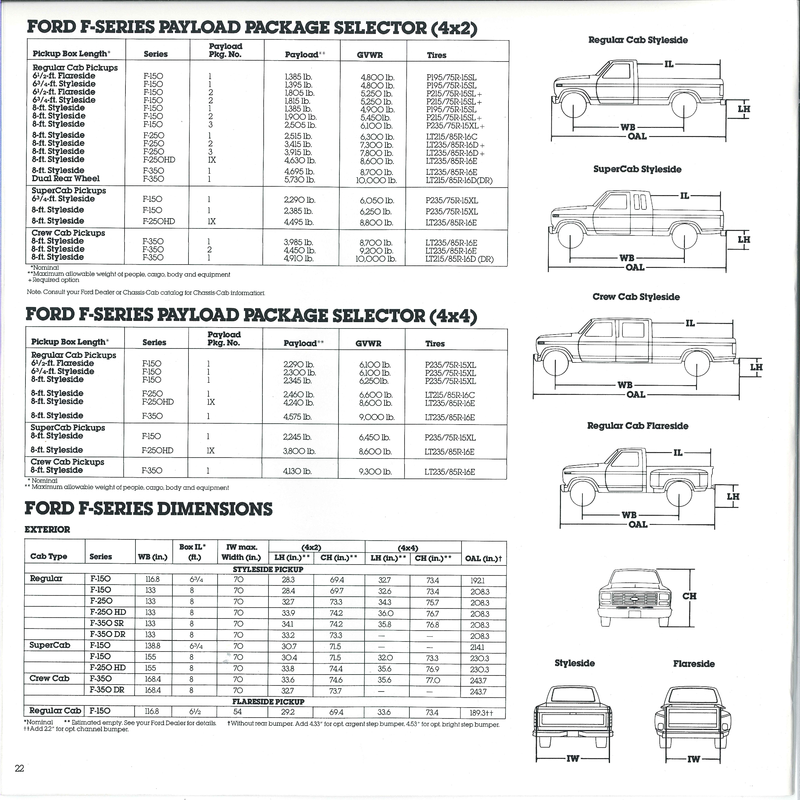 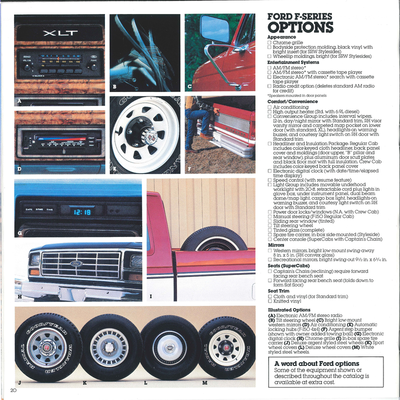 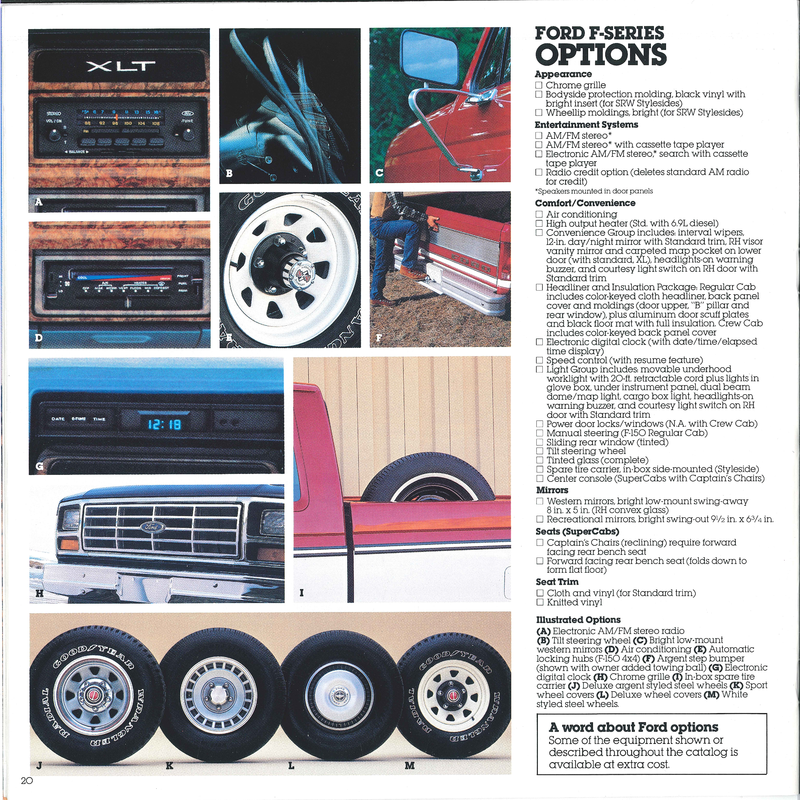 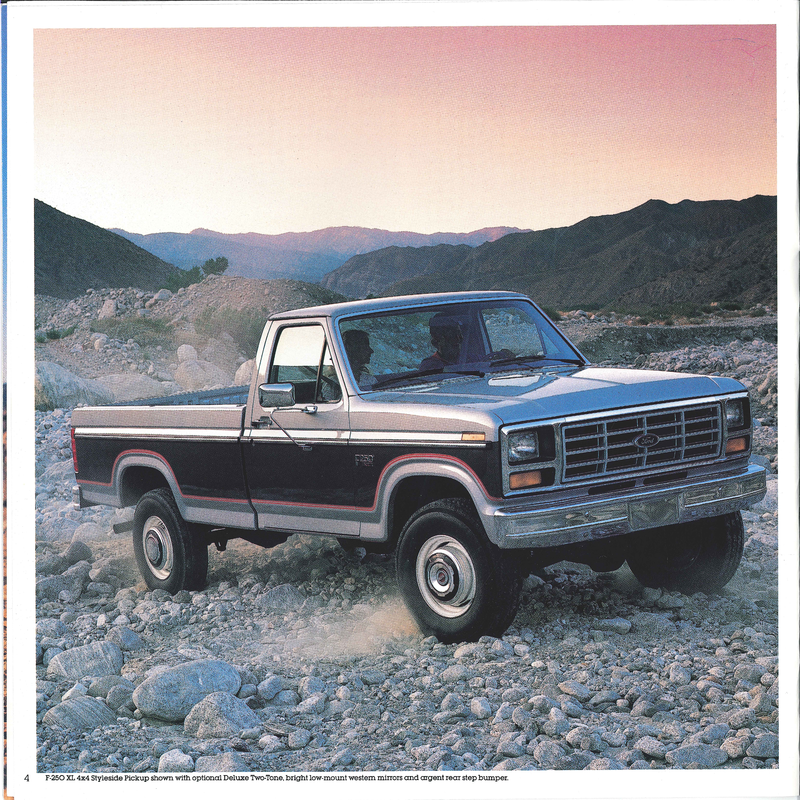 Also note that on page 10, the XLT Lariat was advertised to have "new cloth-covered sun visors." 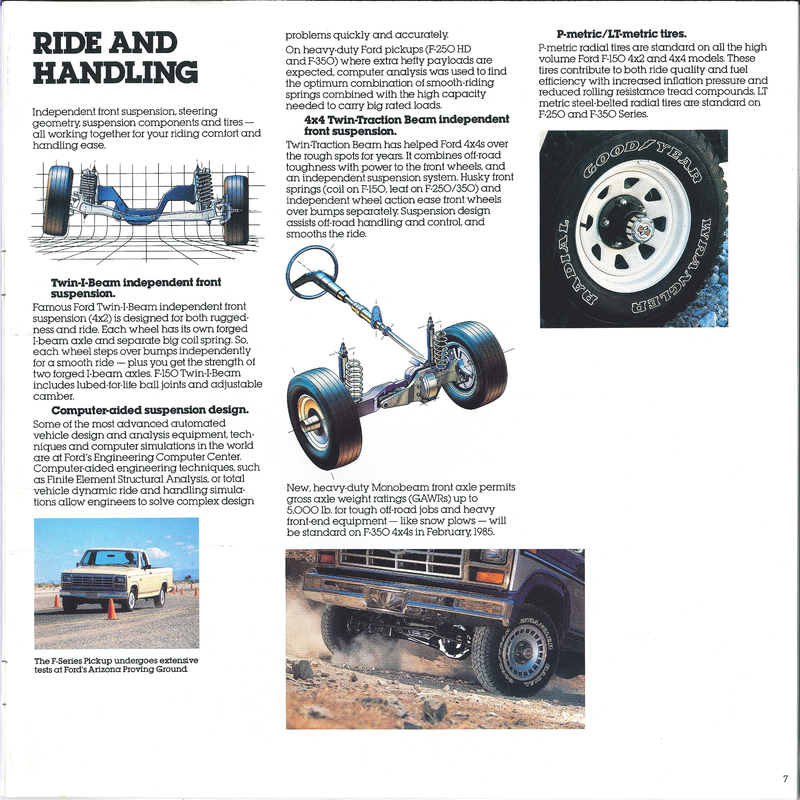 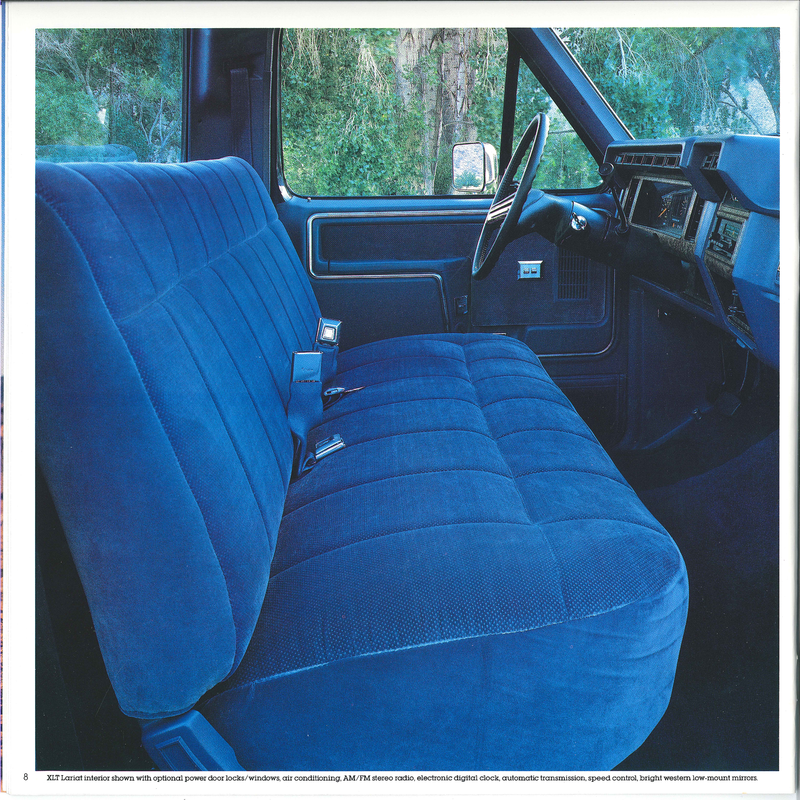 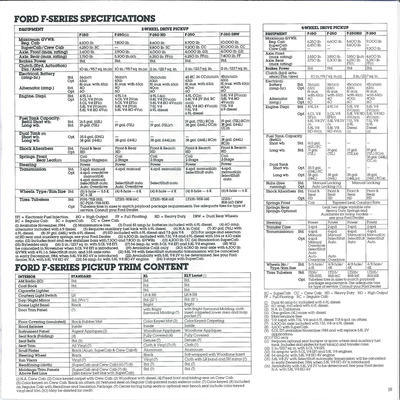 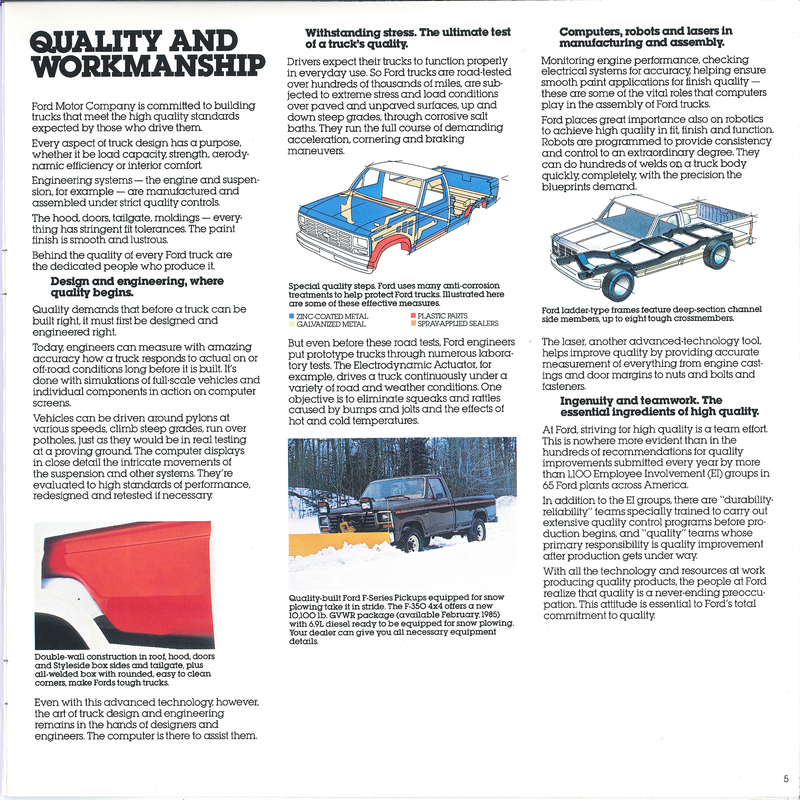 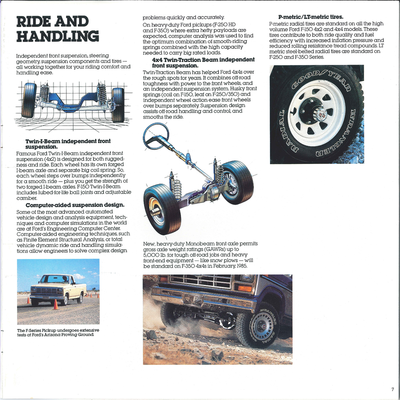 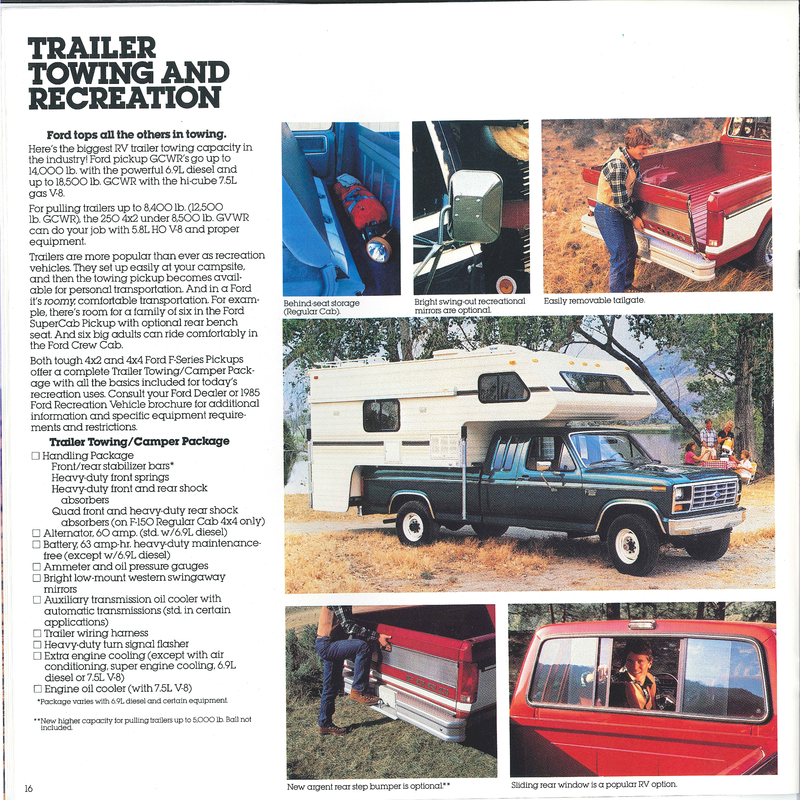 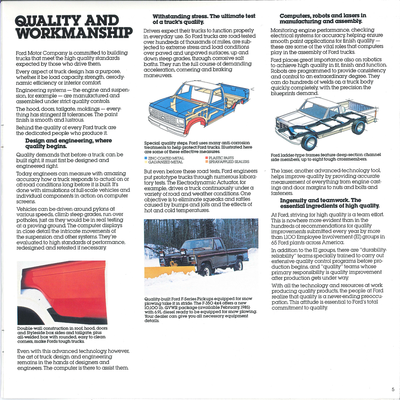 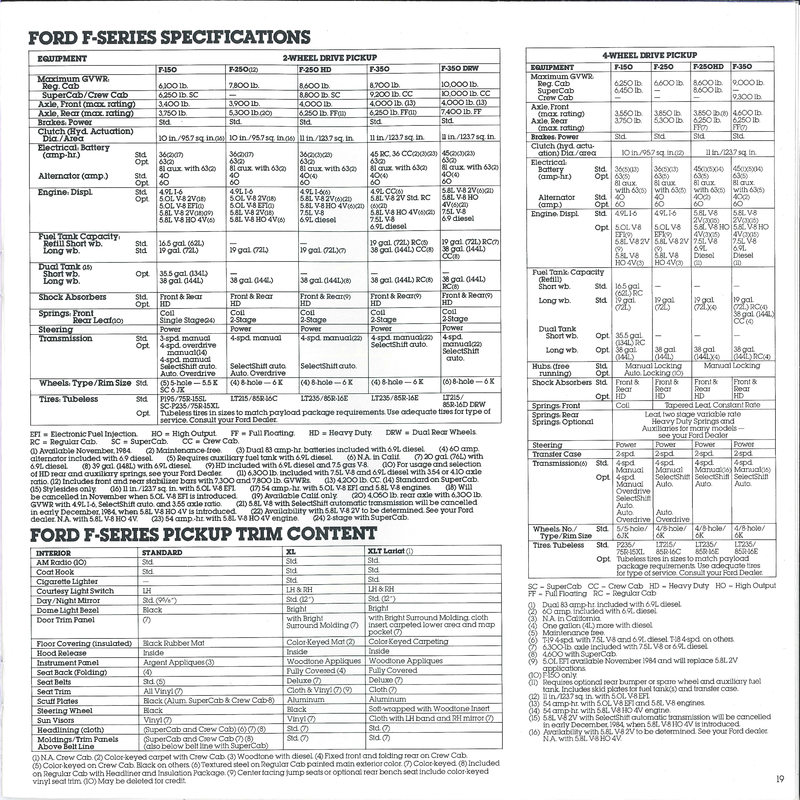 However, that didn't happen and that verbiage was completely dropped from the later 1985 brochure, along with the new full-length bodyside protection molding.